First of all, you should make sure that the store in which you want to make a purchase is trustworthy. How to do it? To get started, make inquiries among friends who have already purchased jewelry: perhaps their experience will help not to repeat the mistakes of others, or friends just advise a good place. Equally important is the life of the store – how long has it been in the market for such services. After you have learned all this and arranged the result for you, you can take a chance and make a purchase. Although … Going into the store, first look around. 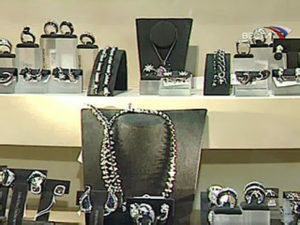 “The seller’s registration documents (certified copies), trade rules, and price lists for services, if any, must be presented in an accessible place at the jewelry shop’s jewelry store,” says Svetlana Anpilogova, deputy head of the Consumer Protection Division at the Office of Rospotrebnadzor for RA. So, with the store you have decided. Everything suits you, and you are ready to make a purchase. 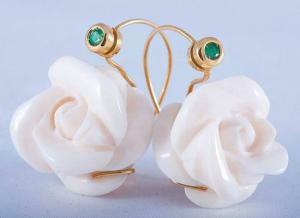 Now the main thing – you need to be extremely careful and remember: you can not save on jewelry. There is a certain price (course) for precious metals, which is cheaper in stores for which they cannot be sold in principle – it will be either a fake or jewelry, and not a piece of jewelry. How to define it? The law in this case protects the consumer, giving a clear explanation. So, when buying a jewelry, carefully inspect it, find the stamp of the assay stamp and the name of the manufacturer (if it is Russian products). If the product is imported, then the nominal may be absent, but the stamp of the Russian state assay chamber must be present. If not, the goods are considered smuggled. The assay stamp represents successively arranged characters of the assay inspection cipher — one letter, an identity mark representing the female head in a kokoshnik in profile, turned to the right (if your gold was made from 1958 to 1993, the sign will be in the form of a sickle and hammer against five-pointed star), and the sign of the sample. The latter can be applied with a laser and eventually erased. However, you should know that the assay mark is placed only on jewelry. Jewelry, albeit expensive, is not branded. Jewelry can not be returned if you did not like them or did not fit in shape, size, style, but only when they have hidden manufacturing defects. – The Federal Law “On Precious Metals and Precious Stones” explains that jewelry products include products made from precious metals (and this is gold, silver, platinum, and platinum group metals, such as iridium, rhodium, and others. – EB) and their alloys using various types of artistic processing, with or without precious and semi-precious, semi-precious, colored stones and other materials of natural or artificial origin, used as various decorations, household items and other their purpose, – explains the law Svetlana Anpilogova. – This does not include awards, the status of which is determined in accordance with the laws of the Russian Federation and decrees of the President of the country. But about inserts should be said separately. According to clause 13 of the Resolution of the Government of the Russian Federation of June 18, 1999 No. 643 “On the Procedure for Testing and Branding Products from Precious Metals”, the use of non-metallic parts (inserts, enamel, mobile) in jewelry and other household products is allowed provided that they are clearly different from precious metals. These parts should not have a coating or color resembling precious metals. Non-metallic materials may be filled with the handles of knives, forks and other cutlery in the quantities necessary for their fastening. In other cases, the filling of cavities in products with non-metallic materials is not allowed. So, you have chosen the decoration you like and are ready to make a purchase. 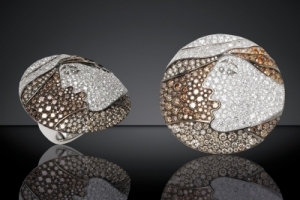 Be careful: jewelry can not be returned if you did not like or did not fit in shape, size, style, but only when they have hidden manufacturing defects. Therefore, the choice should be approached especially carefully. When buying jewelry, check for the impression of the assay mark. 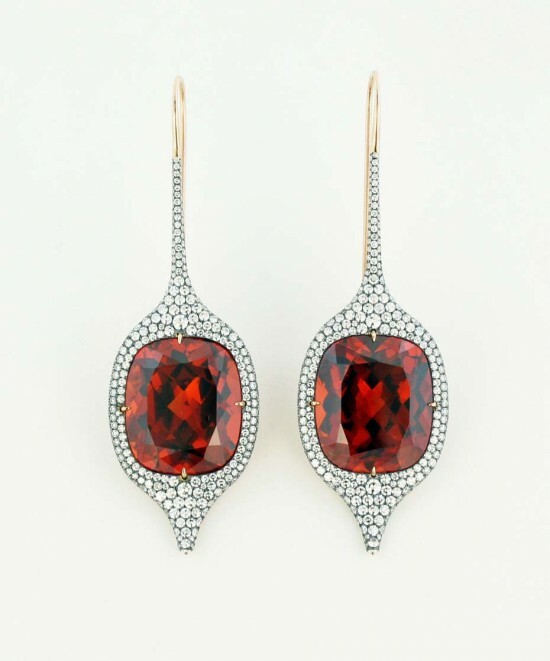 Each product sold must have a sealed label with the name of the jewelry, the name of the manufacturer, the precious metal from which it is made, indicating the sample, article, product weight, its size, type of precious inserts, their weight and quality characteristics, the price of the product, mark the quality control. “In our practice, there was a case when the length of the hanging chain did not coincide with the one stated in the label: the product turned out to be shorter,” says Svetlana Anpilogova. – At the request of the consumer, the seller reimbursed the cost of the missing grams of gold, as the girl did not want to change the product to another. However, such a way out of the situation is possible only in certain periods – the law sets aside only six months.